With 21 military bases in the state, Florida is home to over 92,000 active duty and reserve military personnel, and over 1.5 million military veterans living in here. Because of that, the state carved out particular tax exemptions in their property laws for people who are currently serving in the military or are military veterans and their families. For instance, if a servicemember owns and uses property as a homestead, that person can rent the property without subjecting the property to categorization as “abandoned” under homestead laws. Moreover, if a servicemember is overseas or otherwise unable to file a homestead exemption claim in person, that member’s next of kin or any other authorized person can file that claim on the servicemember’s behalf. Honorably discharged veterans who are either disabled or suffered “misfortune” while in service during wartime and who are residents of Florida may be entitled to a $5,000 reduction in his or her property’s assessed value. It should be noted that this exemption is not limited to homestead property. Honorably discharged veterans who suffered service-related total and permanent disabilities and who reside in Florida may be eligible for a total exemption from taxes on property they own and use as their homesteads. A similar exemption is available to disabled veterans confined to wheelchairs. 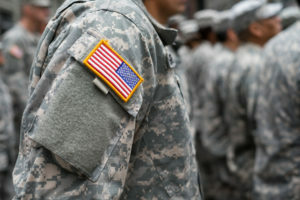 Any member or former member of a branch of the armed services who was deployed outside the continental United States in support of a designated operation during the previous year may receive an exemption, which is calculated by determining the length of time the servicemember was deployed. Partially or totally disabled veterans aged 65 or older may receive a discount on the assessed value of their homestead properties. The discount is calculated according to the percentage of the servicemember’s service-related disability, which is determined by the U.S. Department of Veteran’s Affairs. In addition, under certain circumstances, the surviving spouses of veterans or servicemembers who meet these requirements may be entitled to carry over the exemption. For more information, check with the property appraiser’s office in the county in which the homestead is located. “Military Active Duty Personnel, by State,” Governing.com, available at http://www.governing.com/gov-data/public-workforce-salaries/military-civilian-active-duty-employee-workforce-numbers-by-state.html (last visited Dec. 20, 2018).